Brought To Us By Smile Brilliant a dental lab designed to help everyone around the world get a professional strength teeth whitening without ever visiting a dentist! 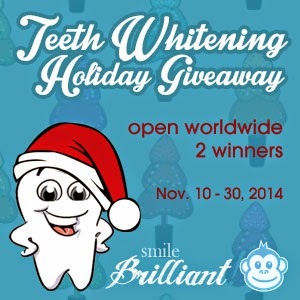 Together with GiveawayMonkey, Smile Brilliant is giving not just one but two of our lucky readers a dazzling white teeth this holiday season! Smile Brilliant offers a custom-fitted teeth whitening trays and gels that you can use in the comforts of your home to have a pearly white teeth. You can read more about the brilliance of SmileBrilliant's Teeth Whitening Trays here or visit Smile Brilliant for more. Back to the giveaway! 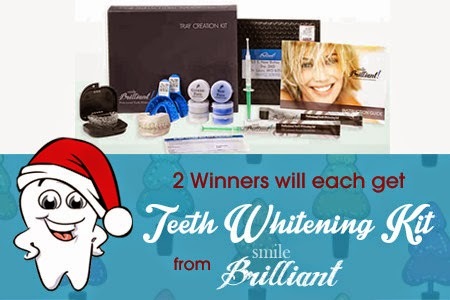 Smile Brilliant is offering two of our readers a chance to win their own teeth whitening kit that contains: 2 Custom-Fitted Teeth Whitening Trays; Carrying Case; Impression Material; Pre-Paid Postage; 1 set of custom dental models; Professional Teeth Whitening Gel; Detailed Instructional Brochure; 30 day satisfaction guarantee! This kit is worth $119.95! You can grab one now at SmileBrilliant and be 1 of their thousands of satisfied customers or join below to win one! So join now via the rafflecopter form below for your chance to win! 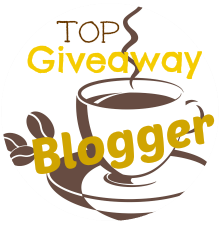 Giveaway is open worldwide and will run until November 30, 2014. Good luck! This blog is not responsible for prize fulfillment. This giveaway is in no way associated with social media sites including Facebook, Twitter, Google+, and Pinterest.